Home Gaming My thoughts on Life is Strange. If you've never played this game you're probably not going to have a clue about what I'm going on about, if that's the case read my previous post about it HERE. Being a teenager can be hard, it comes with its ups and downs but being a teenager at a private school? Well that's something else I did a post a while ago on life is strange but I've finally finished you, it left me with so many emotions and it was such a whirlwind kind of a game. 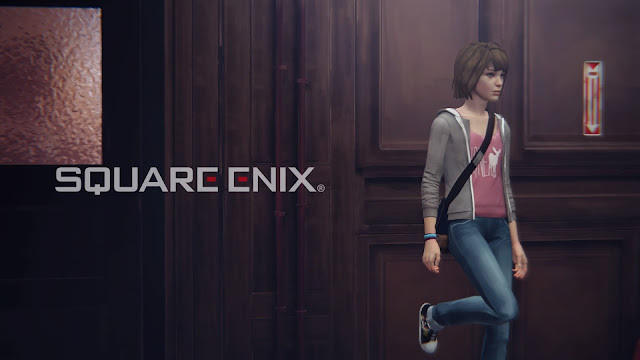 Through the game max (the main character) has a doe on her t-shirt, This beautiful creature is very important to the story as it appears a lot through the game and shows max the way, to me it feels like her conscious guiding her through life and the game so it's one thing you should all keep an eye out for in regards to playing this game. We first meet Max and her classmates in her photography class along with Mr Jefferson, it was clear from the get-go who the popular one in the class was (Victoria) and it wasn't Max. Max is a shy 18-year old who didn't enjoy speaking up in class, but it didn't stop Mr Jefferson trying to make her speak out. You could see how uncomfortable she felt when he did this but it was obvious that she was one of his favourite students. The second main character we get to meet in the bathroom, we see a teenage boy fighting with a girl who has blue hair and then he shoots her, somehow max manages to rewind and save the girl, max is taken back to the photography classroom and thinks everything that just happened was a dream. She soon starts to realise that this was really everything that happened minutes before she went into the bathroom was happening again, she eventually goes back in the bathroom and saves this girl with blue hair life by setting off the fire alarm. From that moment on I was hooked on the game, I needed to know why had Max only just found her powers and who was this girl with blue hair. 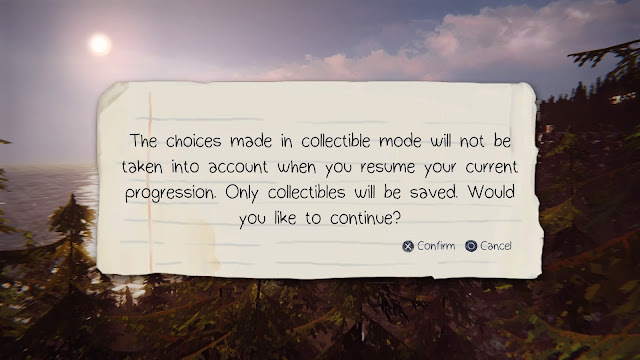 As the story progressed we soon learned that the girl with blue hair was, in fact, Max's best friend Chloe, she has moved away and gone to a different school so the girls no longer saw each other, that was until Max was back in Arcadia bay and at ... school. Max was clueless that Chloe was the girl she had saved but once I realised who she was I had a feeling that Max was going to have to try and save Chloe more than once throughout the 5 chapters of the game. I felt like I connected a lot with both Max and Chloe, but more so Chloe. She was a very sad and troubled girl who had lost her dad, her best friend Rachel has gone missing and her childhood friend wasn't around (until now of course). Growing up I always felt lost and sad not because I lost a parent but because my own dad was never around. Then there is Max she is a shy young teenager unable to speak up for herself, I was this teenager in school, I was scared to speak up and felt very uncomfortable when put on the spot. 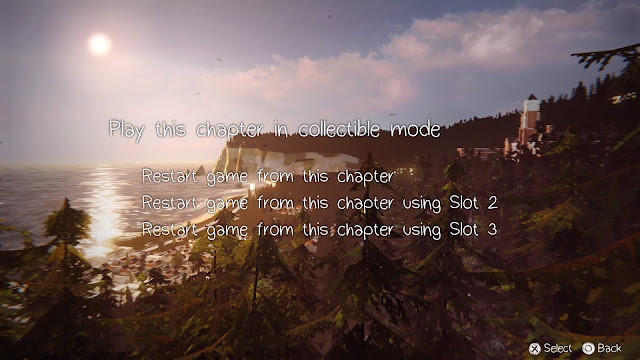 I was initially going to write about each chapter of the game but instead, I want to go into how much it left me guessing until the very end and my thoughts on what happened throughout the game. A young girl named Rachel has gone missing, she was Chloe's best friend and it had left Chloe in a bad way. Both her and Rachel wanted to get the money together to get out of Arcadia bay but Rachel had suddenly disappeared without a trace, no one could work out where she could have gone not even, Chloe. Chloe wanted money so badly that she was going to try and get it out of the teenage boy Nathan from the toilets now I don't want to dwell too much into this as it's not the main focus of this post, let's just say Nathan wasn't very happy with Chloe and wanted rid of her. As the story progresses Chloe and Max decide to try and find out where Rachel is/what's happened to her together, Chloe has now learned of Max's power and the set on the path for some answers. Chloe comes to learn that bad boy Frank and Rachel were an item and becomes suspicious that he has done something to her, which is far from the truth. Max has had to use her powers to change a lot of things that have happened such as rescuing Chloe from the train tracks and even reversing time so that she can move the popular girl Victoria and her friends off of the dormitory steps. The thing that I never quite understood with Max's powers was how she was still alive, surely there is only so much reversing time a body can handle, her nose would bleed each time (much like eleven from Stranger Things, they remind me of each other). At times I felt like the game was a little too focused on teenage drama rather than explaining why Max has these powers or how her powers affected other things. 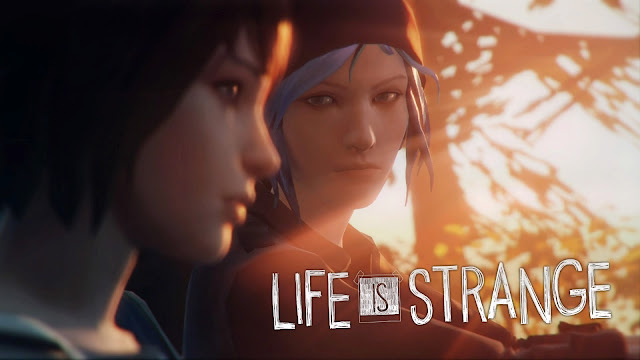 Max has a classmate called Kate, she was one of my favourite characters from the game, I felt like, at the start kate was the one who would end up being as important as Chloe and Max, in a way she did as Max had to stop her trying to kill herself but what I learnt is every action has a reaction which helped the story make more sense. Why did Kate want to kill herself? A video was leaked of the poor girl making out with a load of guys at the ... club, poor kate comes from a religious family background and was terrified her family would find out. Max told Kate she would find out what happened to her and prove that Kates drink was spiked to make her act that way. The truth behind this was never uncovered but Nathan was arrested at the end of the game for working with Mr Jefferson (I shall explain more soon). I'm not gonna go on about every little thing that happened in the game or I will be here forever, but one big thing that I do want to talk about is Max going back in time by looking at a picture of her and Chloe from when they were about 10 and saving Chloe's dads life. I found this part to be important, almost like Chloe's dad was supposed to die in order for Chloe to die later on as a teenager so the truth about Mr Jefferson and Nathan came out. I'm glad that Max eventually went back in time again after seeing that Chloe was the one who was in a car accident and begged Max to kill her, I know you're probably thinking I'm a bit weird for being glad but I have a good reason for this. Max would have never found her power, Mr Jefferson would have carried on getting away with kidnapping the girls from the school, taking their pictures whilst they were drugged (with the help of Nathan) and then killing them (Rachel was one of the girls). I don't feel like enough of what happened with Jefferson was shown, as I said before it focused a lot on teenage drama more than anything. There is another character called Warren in the game, now I loved the relationship between him and Max they seemed perfect for each other it was very obvious he stood by her even if she kept blowing him off, but near the end of the game when you have to take the picture inside his locker he has a shrine to Max. I'm not sure if this was what really was in his locker or if it was part of Max's nightmare but it made me think, is there more to Warren that we know? 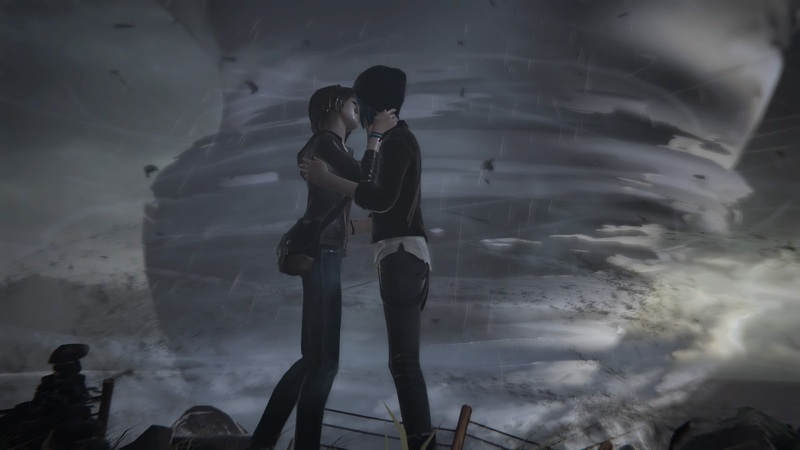 Towards the end of the game I felt that Max and Chloe had an even stronger connection than Max and Warren, I ended up sacrificing Chloe in the end as much as it pained me I couldn't let all those other people die, letting Chloe get shot led to the arrest or Mr Jefferson and Nathan, it broke my heart to see Chloe laying on the bathroom floor dying. Before that scene we see Max and Chloe kissing, I feel that it represents how much you can love a person yet you're able to make the biggest sacrifice to save others even if it means losing the person you love. Max finally came out of her shell, she found who she was, she may have lost Chloe but she found her one last time after not seeing her for all those years. 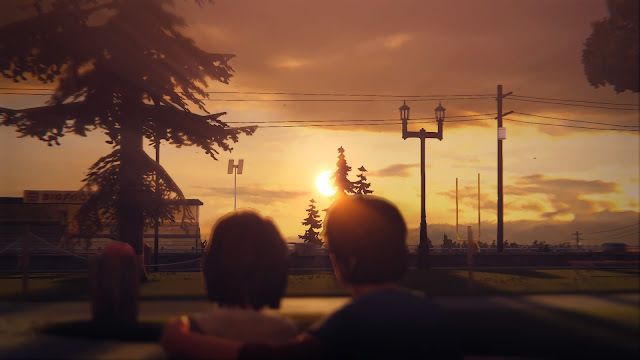 All in all I loved this game, despite the teenage drama and not really explaining max's power (except when max says thinks Chloe helped her find it) it was a great play and the graphics were ok for a game like this but I cared more about the story than the graphic, to be honest, The music for the game really set the scene, it made me feel like I was one of those students experiencing what max and Chloe were going through which left me wanting to play more, in fact, I spent a solid 4 days playing this game whenever I had the time, I hope there is another Life is Strange, perhaps there is more to Warren than we know. The trophies are pretty easy to get, you can play the game on collectable mode to take all the pictures you missed to gain trophies this game is the easiest games to get a platinum trophy in, no joke I've got them all. If you do wish to play this game it's available on PS4, Xbox One and PC, I hope to record gameplay of the whole game one day, I need a PC and a capture card first, PS4 only allows 15-minute gameplay footage. Sorry for such a long post, I do like to ramble on sometimes. This is a fantastic overview of this game! Much better than mine haha! I agree with everything you've said. I got really into this. It really sucked me in!